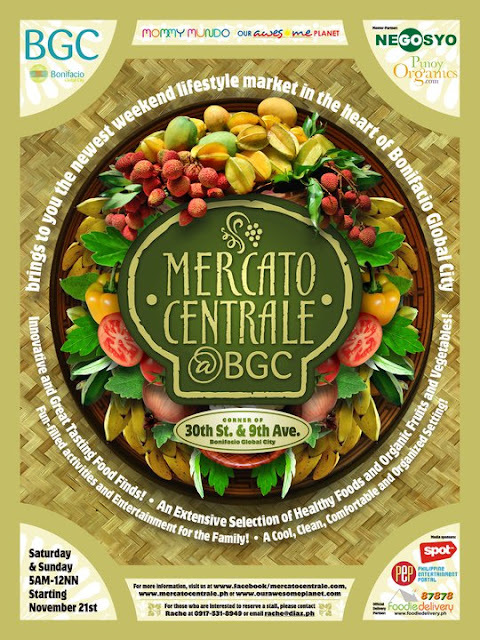 Mercato Centrale, the newest weekend lifestyle market, will be launched on Nov. 21, 2010 at 7am to 12 noon. It is located in the heart of Bonifacio Global City, at the corner of 30th St. and 9th Ave, in Taguig City. The market is full of mouth-watering food finds you won't find anywhere else in the Metro, an extensive selection of organic produce, fun-filled activities and live entertainment. For more info, visit Mercato Centrale.